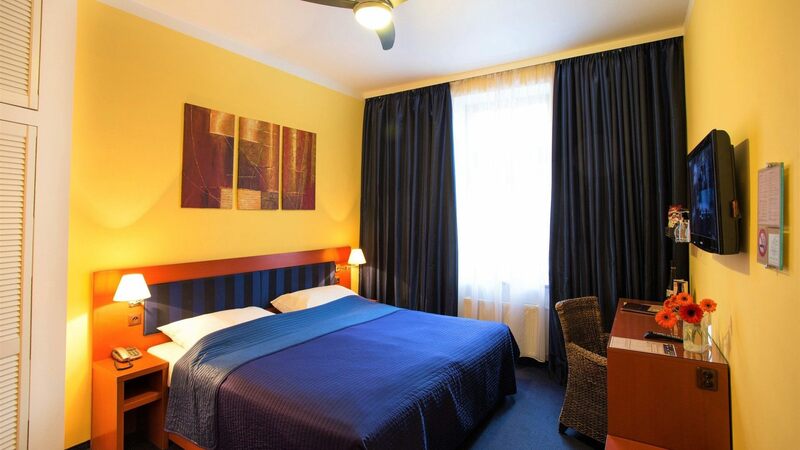 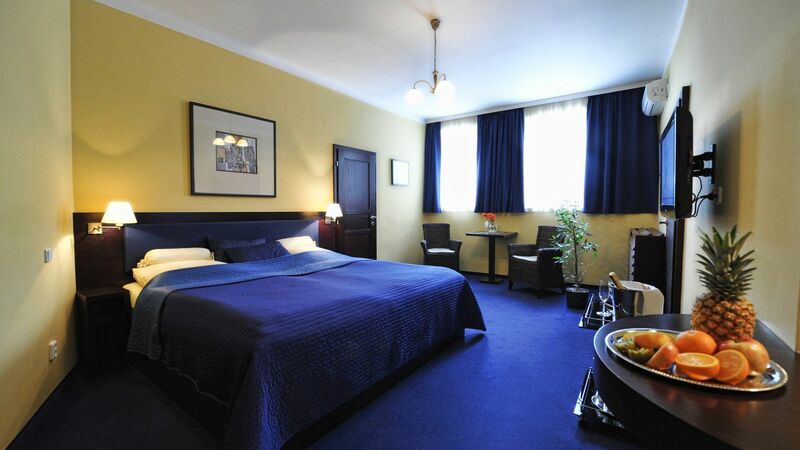 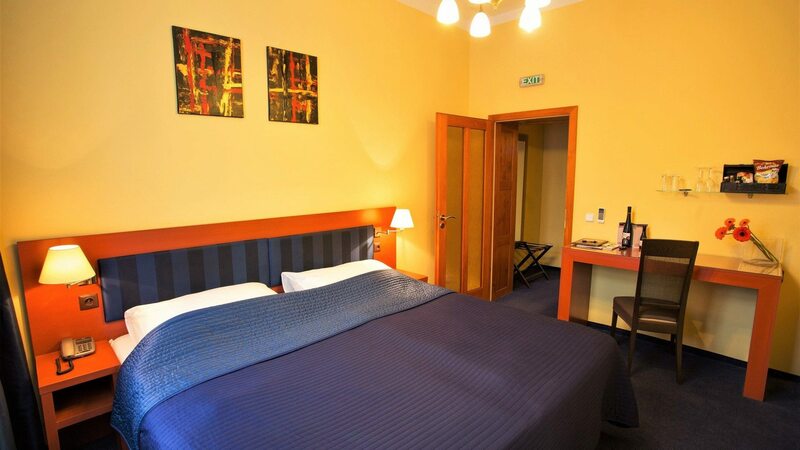 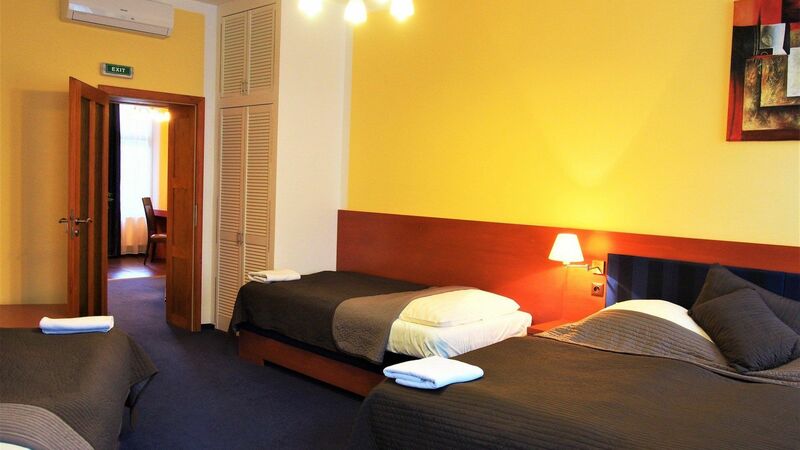 Double room Economy has an area 40 m². 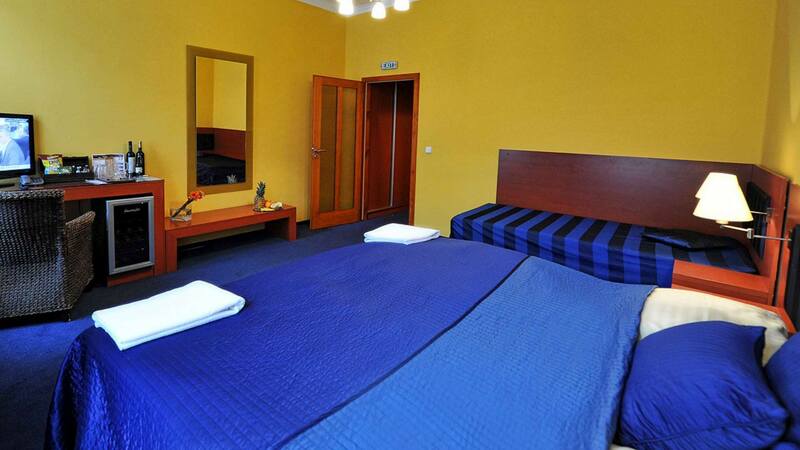 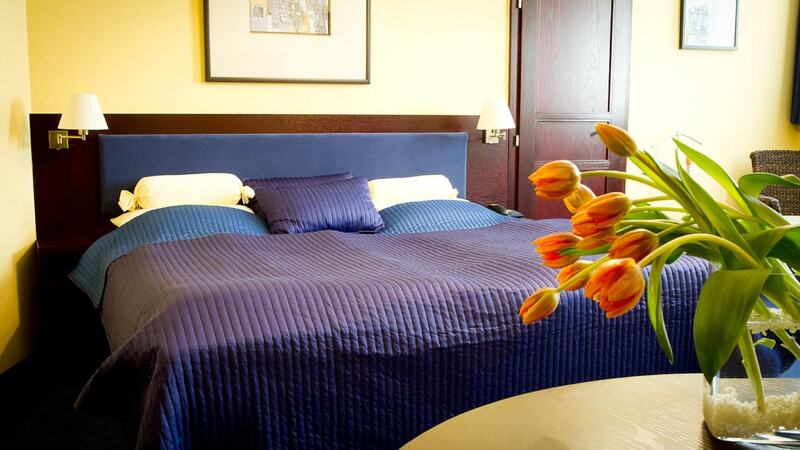 In the room you will find one double bed King size 200×200 cm and one extra bed 200×100 cm. 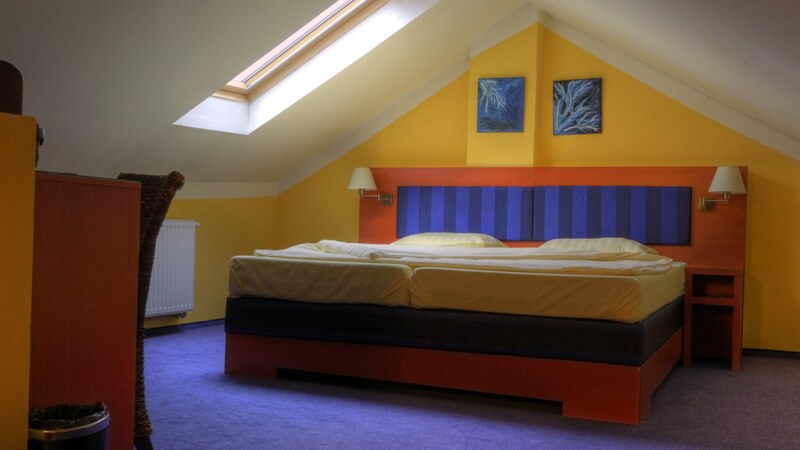 Room is situated in the top floor and height of room is 190 cm.